As long-time Disney frog-natics, Disney is practically our home, second to our humble lily pad. Trips to Disneyland are almost as routine as visiting the grocery store. We use our extensive experience to give tips and tricks so that you can get the most out of your Disneyland visit. Knowing that the Happiest Place on Earth can be also one of the busiest places on Earth, it's important to have some strategies when going to the parks. Well frogs, that's why we're here! Here's a list of tips that will help you maximize your time at Disneyland. When you buy tickets in advance, you'll go straight through to the entrance and won't have to spend any time in ticket booth lines. This can save you an hour on a busy day (plus save you some green if you purchase your discount Disneyland tickets through Undercover Tourist)! If you purchase a 3-day ticket or longer, you'll be eligible for Magic Morning. With Magic Morning, you can enjoy one day of early admission to Disneyland Park, usually on Tuesday, Thursday or Saturday. 2. Pick the best times to visit. While it's always a good time to visit Disneyland, there are times during the year that are better than others. Holidays, school schedules and annual passholders have a big impact on Disneyland's schedule. Use this guide to determine the best time to visit Disneyland. For the most immersive Disneyland experience, stay on property. 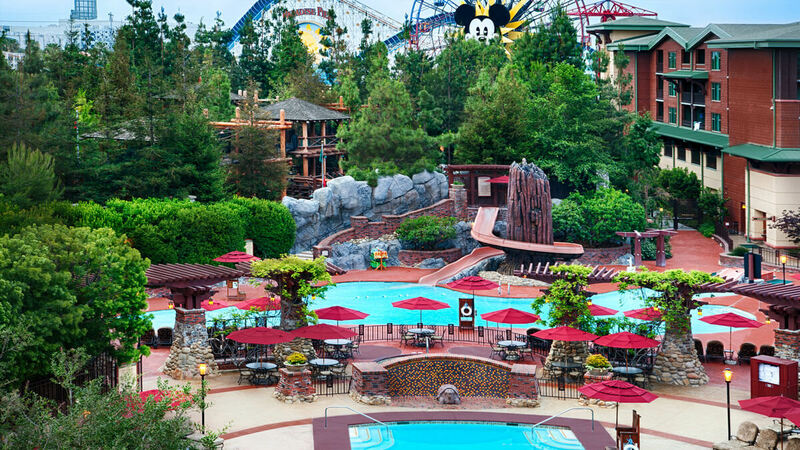 The three onsite hotels—Disneyland Hotel, Disney's Grand Californian Hotel and Disney's Paradise Pier Hotel are creatively-themed with great Disney touches. You will enjoy the Extra Magic Hour for every day of your stay at an onsite property. The Extra Magic Hour benefit gives you one-hour early access to either Disneyland Park or Disney California Adventure Park, which can be critical to reducing your waits on the most popular attractions (talkin' about you, Radiator Springs Racers). Resort guests at the Grand Californian can use the dedicated resort entrance to Disney California Adventure from Disney's Grand Californian Hotel & Spa, which is a nice perk to staying there. 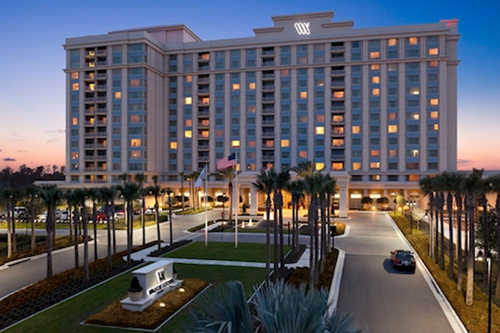 Here are more benefits to staying at a Disneyland Resort hotel. 4. If you can't stay on property, at least stay close by. 5. Ease your way through the security line. The best way to get through the security line quickly is to be prepared. Make sure all of your bags are out and open for the cast member to peek into. Have keys, cell phone, coins and any metal devices ready to be passed to the guard at the security scanners. Have something that you know will buzz, such as a belt? Take it off and shove it into a bag for a moment. The Harbor Boulevard security lines (the area where Toy Story Lot and offsite hotels tend to enter) have a special security line for people with no bags. If you have no bags to check you may save yourself a long line there! 6. Get to the parks before they open. We say this a lot and here it is again. The shortest waits of the day are in the first hours of a park's opening. When you arrive at the park before it opens, you will be one of the very first people inside the parks. Lockers can be a lifesaver. It's smart to travel light in the parks, but you want to bring sweatshirts, jackets and cameras. Make renting a locker your first priority of the day. This eliminates the need to haul all your gear around yet not out of the way for a quick stop for more sunscreen and such. 8. Download the Disneyland Mobile App. Life. Save. Er. Download the Disneyland Mobile app before you arrive. It has wait times, show listings, park maps, restaurant menus and so much more. If you buy your park tickets with the app, you only need to show your barcode at the gate for admission when you first arrive at the park! Having the Disneyland Mobile app is necessary for using MaxPass and the new Mobile Ordering Service is great for skipping some food lines. Disney's FASTPASS system is one of the best ways to maximize your time at Disneyland. In case you're not familiar with the system, certain attractions in both parks allow you to insert your park ticket and get a pass, called the FASTPASS, which gives you a return time to the specified attraction. Keep touring the park then hop back through the FASTPASS Return Line for a minimal wait. There are a few fine points worth mentioning. You can only use the FASTPASS during the specified one-hour return time window (although you can arrive 5 minutes early and up to 10 minutes late). You'll grab your new FASTPASS after a waiting period once the return time window opens for the current pass you are holding or up to two hours have passed since you obtained your most recent FASTPASS. If the ride should break down in your return window, you can redeem the unused FASTPASS at another FASTPASS attraction in the park any time until the park closes. Finally, many attractions do run out of FASTPASSes by evening, so don't count on FASTPASSes to be available at the most popular attractions later in the day — especially at Disney California Adventure. 10. Use MaxPass to obtain FASTPASSes and use PhotoPass. The ultimate way to maximize your time at Disneyland comes with a small price tag. Disneyland MaxPass is an optional add-on service that costs $15 per day per person. It allows users to make FASTPASS reservations from their smartphones. That means that the second you walk in the front gate, you can reserve a FASTPASS for Radiator Springs Racers instead of getting in a long line and waiting to obtain a pass. You can get a jump on other FASTPASS users. You can usually reserve earlier return times than other FASTPASS users and make your reservations wherever you are for either park (if park hopping) once you have entered a park for the day. If you plan to use PhotoPass, MaxPass will save money with included unlimited photo downloads compared to purchasing each picture individually. Note the time you can make your next FASTPASS reservation and reserve as soon as you can. You do not have to ride the other rides you have reserved first before making the next reservation. Choose earlier return windows in the morning to maximize the amount of rides you can get on in a day. 11. Take advantage of Extra Magic Morning and Extra Magic Hours. The only way you benefit from the Extra Magic Morning or Extra Magic Hours (EMH) is if you actually show up early for them. Both allow one-hour early admission into the parks, a huge leap on the rest of the touring population. You want to get to the park at least a half hour before the extra hour begins. Otherwise, you might find yourself in a long line of not-quite-early-enough risers who are also waiting to get into the park! Some rides now distribute FASTPASSes during EMH and Magic Morning, but availability is not guaranteed and the FASTPASSes' return windows will become active once the park opens to the general public. 12. If you are an early bird not staying onsite, start the day in the park not hosting Extra Magic Hours. Even if you arrive ahead of park opening, the park with Extra Magic Hours or Magic Morning will have more people in it and you’ll encounter some lines and fewer immediate FASTPASS options. You're better off heading to the opposite park. You can usually enter the other park 30 minutes early, but you will have access to the entire park once the rope drops at official opening. 13. If you aren't staying onsite and want to experience Radiator Springs Racers first thing, head to Disney California Adventure on a non-EMH day. The advice above is especially true if you're set on riding Radiator Springs Racers first thing (you won't be alone). On days with Extra Magic Hours at Disney California Adventure, the park will already have plenty of guests who are in line for the attraction or its FASTPASS machine by the time you actually make it inside. You can pick up your Radiator Springs Racers FASTPASSes in Cars Land behind Flo’s V8. 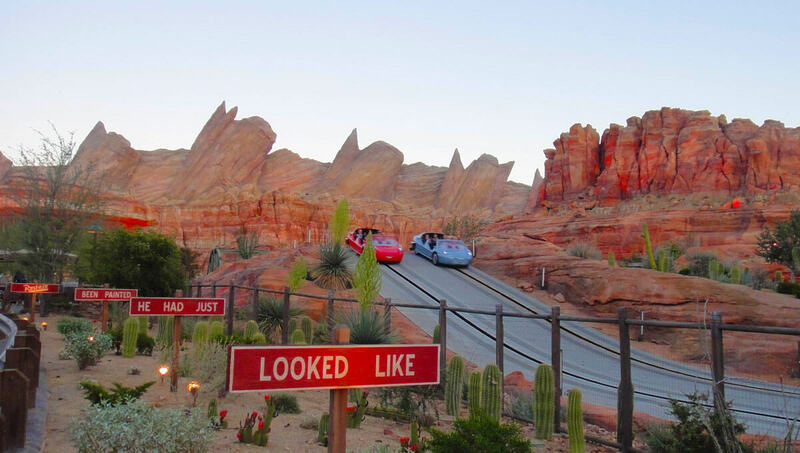 You'll want to head that way first thing if you plan to use traditional FASTPASS for Radiator Springs Racers (but you can book your first ride from anywhere if using MaxPass). 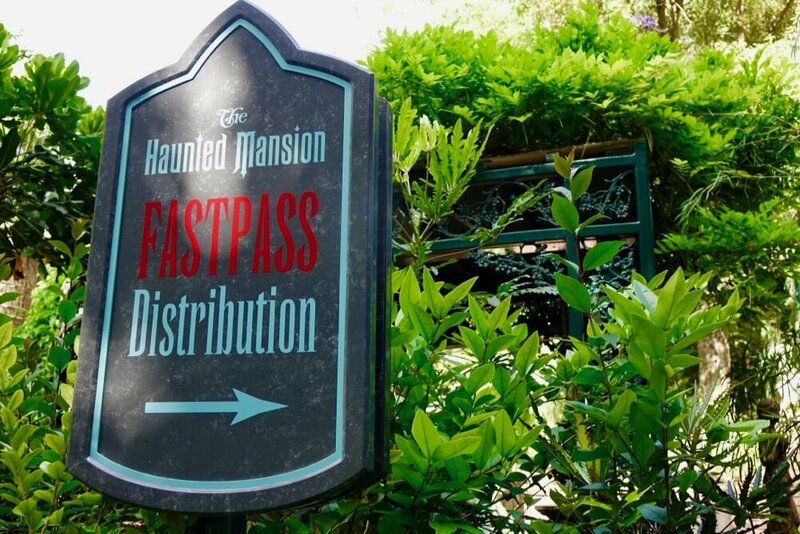 Note that FASTPASS is now sometimes available during EMH, so EMHers will line up for the machine ahead of the official park opening and snag all the early return times. Hop Tip: The ride’s line moves fastest in the first hour of park opening because there are fewer FASTPASS users slowing down the standby line. If you want to do this attraction more than once in your day, grab your Radiator Springs Racers FASTPASS tickets then head to the attraction to ride it early or save more time and hop in the Single Rider line (all single riders must be 7 and up). 14. Use Rider Switch if you have young children who do not meet the height requirements. If you have tadpoles that are not tall enough to ride (or don’t want to ride), go to the entrance of the ride with the entire party and get a digital Rider Switch return window added to the supervising parent’s park ticket (along with up to two other people). One parent can supervise the tadpole(s) while the rest of the party rides, then once the riders return, the supervising parent can have a turn to ride while skipping the line. 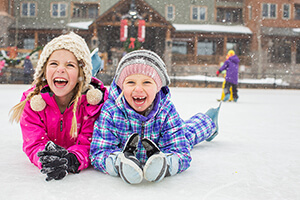 Some members of the first party can also be part of the second party and ride with the first supervising parent when they take their turn, but they have to scan their tickets in advance because you can’t change your mind later. You can also use Rider Switch with FASTPASS. 15. Only have one person in your party get FASTPASSes or schedule MaxPass FASTPASSes. It's much easier for one person to be your appointed FASTPASS "runner" or manager. I'm the runner in our family and hold onto all of our reminders. When using MaxPass, I also manage the whole family and make all our FASTPASS reservations to make sure we all have the same return window. If members of the group try to make their own FASTPASS reservations individually, everyone might get different return times, so it’s best to have one person manage everyone when you want to ride together. It's much easier to hop at Disneyland than it is at Disney World. Both Disneyland Park and Disney California Adventure are just a short hop, skip and a jump away from each other. With the entrances maybe a minute walk apart, park hopping can be an effective way to maximize your time at Disneyland. Disney California Adventure park normally closes before Disneyland, so when you park hop, you can head to the later park when the first one closes. Here are more tips on choosing the best Disneyland ticket. 17. Have a plan and prioritize attractions. You want to visit the attractions with the longest waits (and no access to FASTPASS) when they have the lowest waits at park opening and closing. If you've got one day for each of the parks, follow our 1-day Disneyland Park and Disney California Adventure park plans. 18. Save time in the Dole Whip line. Securing this delightful dessert with the massive following takes some strategy. 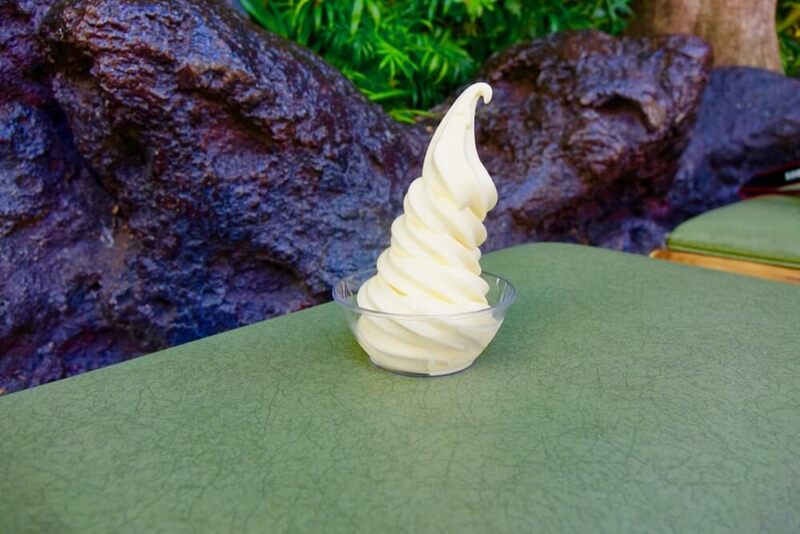 Lines can be long during the day, so consider indulging in your Dole Whip when the stand opens. Hop Tip: Disneyland Mobile Ordering Service and skip the line to order. The line should be shrinking now that there are now TWO Dole Whip locations in Disneyland Park! You can pick up your pineapple Dole Whip (as well as orange or raspberry favors and other favorites snacks) from the new Tropical Hideaway restaurant in Adventureland. 19. Buy your souvenirs ahead of time. Yes, who doesn't want a Disneyland hat, jersey, set of ears, mug, pin, Tsum Tsum, framed artwork and all the other tempting Disney trinkets? We all want a little something special from the parks, but we prefer to buy souvenirs online and at discount shops to give to Tad and Lily ahead of the trip. This saves us time spent in the shops and also money. 20. Wait until the end of the evening to shop. If you must shop, wait until the park closes. The shops on Main Street U.S.A. and Buena Vista Street are open an hour after the parks close. Also, World of Disney in Downtown Disney is open one hour after Disneyland closes. 21. Save the shows for later in the day. The parks are least busy the first few hours of the day. You don't want to find yourself in a 30-minute show when Peter Pan's Flight and Dumbo will see their lowest waits of the day! When lines peak in the afternoon, it’s showtime (and a good time to rest those legs). 22. Make use of the Single Rider Line or Buddy Pass. Buddy Pass is a similar option to reduce the wait for small parties at Disney California Adventure. Monster’s Inc. and Toy Story Midway Mania may offer Buddy Passes to parties of one or two (as well as up to two adults and a small child on Toy Story Midway Mania). Buddy Pass holders enter a separate line and fill in empty rows as they come up. 23. Know when and where to find your favorite characters. While a handful of Disney characters have their own dedicated meet-and-greet stations, most of them are listed on the official site with published times. However, with the right strategies, you may very well land that meeting with favorites such as Peter Pan, the Incredibles, Anna and Elsa, or Moana. The Disneyland Mobile App offers the locations of all the characters. Also, character-helping cast members — usually in red vests and hanging out with the characters — will let you know if and when you can catch your favorite. 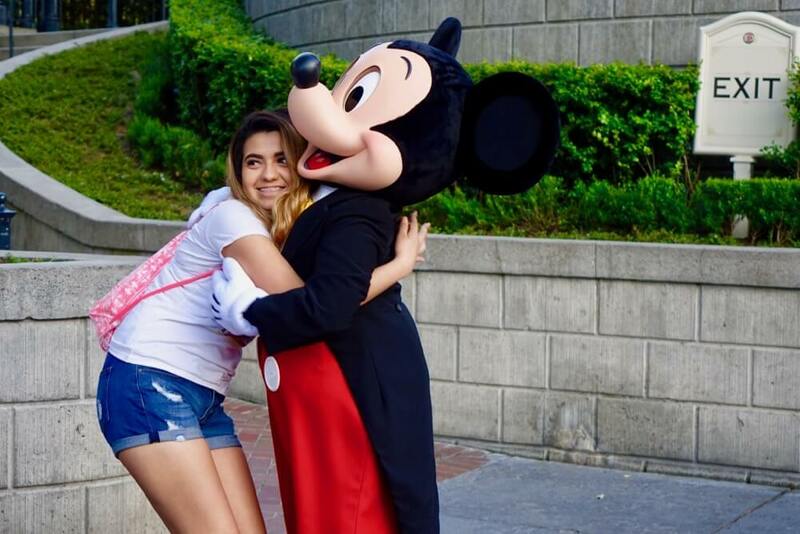 Check out our tips on meeting your favorite Disneyland character! 24. Cozy up to your favorite characters at breakfast. 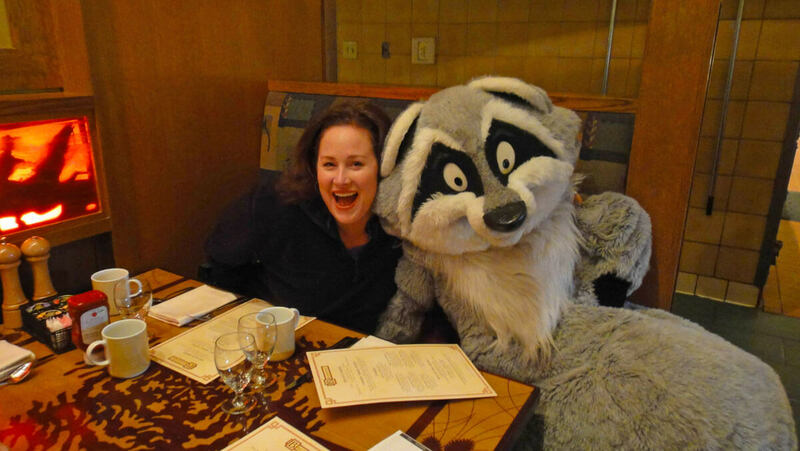 A character meal is a great way to get up close and personal with a bunch of your favorite characters all at once. To really maximize your time at Disneyland, schedule a breakfast before the park opens. Goofy's Kitchen at the Disneyland Hotel and the Plaza Inn inside Disneyland Park offer the largest selection of characters. 25. Have a plan for a lost child. It's easy to get distracted in a theme park, for kids and adults as well. There are lots of people and lots to see. On more than one occasion, we've stopped to shoot off a quick text message, looked up, and couldn't see the tadpoles among the sea of guests. Make sure you have a plan in place in case someone gets separated from your group. Here are top 10 don'ts for getting lost in the theme park. 26. Pack your own snacks and water. You'll save time, money and meltdowns by packing your own snacks and water (just no glass bottles). Knowing when and where you're going to eat can be a timesaver. By eliminating the time it takes to consider your options, hopping right to your restaurant really speeds up your day. Visit the Disneyland website or the Disneyland Mobile App to see your options and reserve. Our three favorite spots are the Blue Bayou Restaurant in New Orleans Square, the Carthay Circle Restaurant on Buena Vista Street and the new Lamplight Lounge at Pixar Pier. Café Orleans has fun food, too (like their Monte Cristo, pommes frites and Mickey beignets). 28. Eat during off-peak hours. If you can't secure a reservation or would rather dine at a quick service location, you'll save time waiting in line and finding a place to sit if you dine during the off-peak hours. This is from 10:30 a.m to noon and then 3 p.m to 5 p.m. 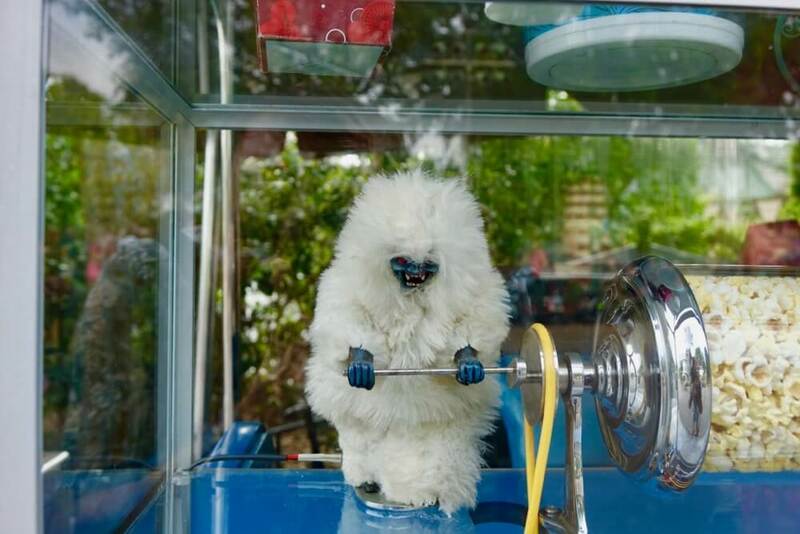 Here are some of our Disneyland Park and Disney California Adventure quick service favorites. 29. Dine on the move. You can save some time by dining on Disneyland eats that can be enjoyed on the move. Turkey legs, corn dogs, meat skewers, chili and Frito bag (Firefly) and chili cone queso (in Cars Land) are all compact enough to be munched on while you're moving. 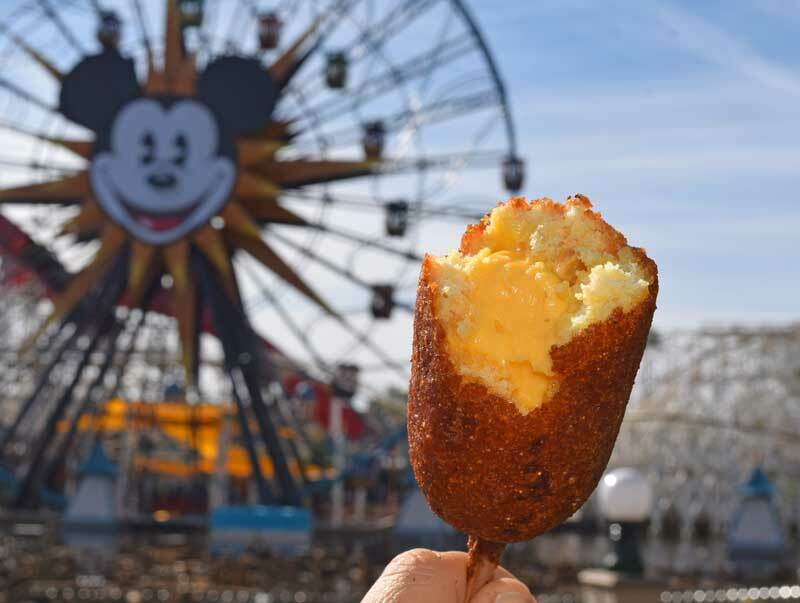 Hop over for help in finding the best on-the-go Disneyland foods for when you really need a meal, but can’t stop the fun. 30. Use the Mobile Order Service. The days of long food lines are gone. With Disneyland Mobile Order Service, you can order food from anywhere. Make a food order while you're in line for a ride, at the back of the long restaurant line or even in your hotel room. Just stop by the Mobile Order window and pick up your food. Many restaurants inside Disneyland, Disney California Adventure, Disneyland Hotel and Disney’s Grand Californian Hotel & Spa currently offer Mobile Order Service. 31. Bring your own lunch. If you really want to save time and money, bring your own lunch. Think picnic items such as sandwiches, raw veggies and fresh fruits. You may even bring a full picnic and store it a locker outside of the park near the Picnic Area. No glass containers, loose ice or dry ice are allowed though security. Don't forget sunscreen, hats, sunglasses, cell phone cords, chargers, battery packs and band aids. Using MaxPass on your phone can drain your battery. It doesn't rain very much in Southern California, but if you don't want to get wet on the water rides or plan on being in the front row at World of Color, you should bring your own poncho. You'll save time and money when you need them. Speaking of getting wet at Disneyland, we have a post with 8 essential rainy day at Disneyland tips! 33. Know when the different park areas close. If you want to ride the Incredicoaster at night (our favorite time to ride), you’d better ride it before World of Color. The park often closes just before or after the last World of Color show. 34. Plan meals around parade and show waits. Choosing a great spot for Fantasmic!, World of Color or the fireworks is a rite of passage in our Frog Family. We make the most of this time waiting for the show to start by making it "dinner time" as well. 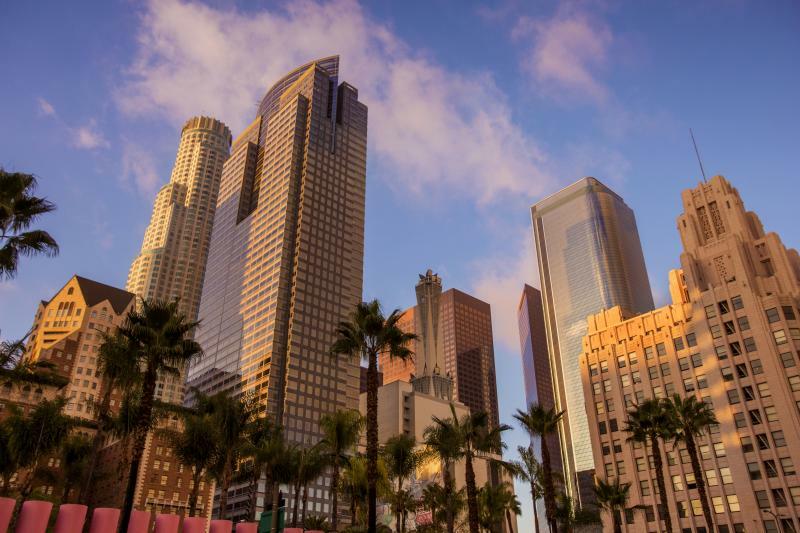 We find our ideal viewing location, and then one family member sets out for burgers, hot dogs, corn dogs, fried chicken from Plaza Inn or other grab-and-go type foods for the rest of the family. We eat sitting down while we wait for the show to start! 35. See the second show. During the busiest times of year, there are often two showings of the parades and Fantasmic! and multiple showings of World of Color. The later you stay, the less time you need to stake out a viewing location for these shows. 36. Grab a FASTPASS for World of Color or Fantasmic! early in the day. The FASTPASSes at World of Color and Fantasmic! move quickly. 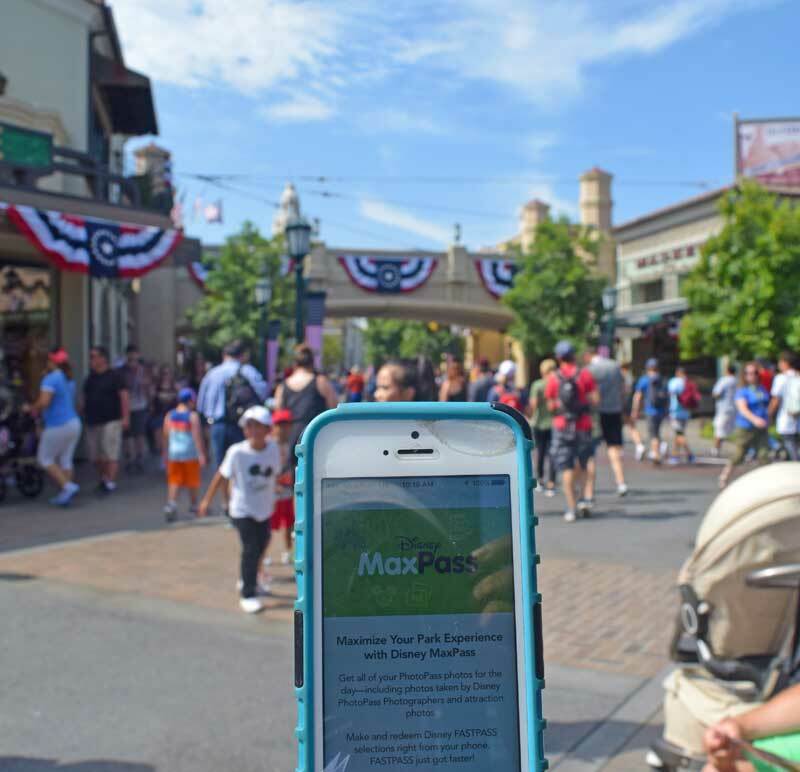 They are now available through MaxPass (so you can reserve them from your smartphone as soon as you enter a park for the day if you have MaxPass). They are not connected to the rest of the system, so you can obtain these FASTPASSes without worrying that they will affect your ability to obtain ride FASTPASSes. Know that you will not get to choose your seating area or show time (if there is more than one). The FASTPASSes are distributed sequentially by show time and viewing area. The World of Color FASTPASS kiosks are located near The Little Mermaid - Ariel's Undersea Adventure. Fantasmic! FASTPASSes are distributed near Frontier Landing. For slightly better or reserved viewing areas, you can reserve dining packages that include vouchers for viewing the shows. 37. Save any of the long wait attractions you missed in the morning for the end of the night. Wait times drop off in the last couple of hours of park operation, which makes this a perfect time to hop in line at Indiana Jones Adventure, Peter Pan's Flight or Space Mountain. 38. Ride during show times. The wait times drop significantly for rides in New Orleans Square and Critter Country during Fantasmic!, making show time the best time to ride Pirates of the Caribbean, the Haunted Mansion and Splash Mountain. 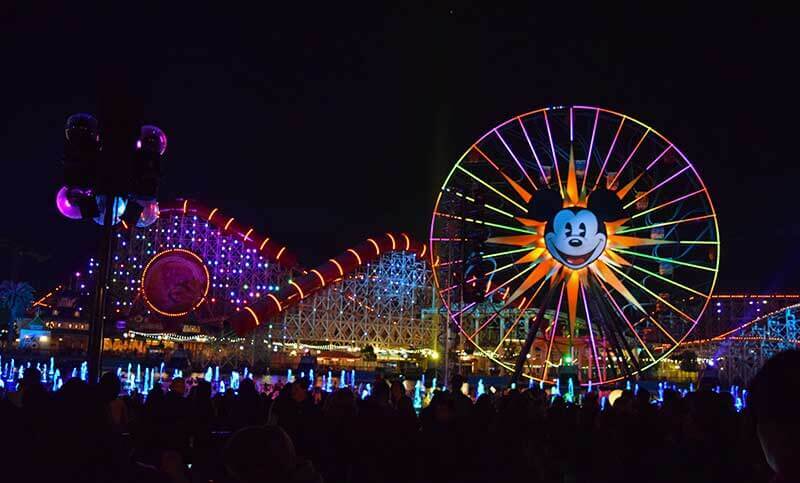 You may also find shorter lines in Disneyland during fireworks and at available rides at Disney California Adventure during World of Color if the park is still open. 39. Make sure you are in a ride line when the park closes. Once you're in a line, you will get to ride even if it is already past park closing time. 40. Pick up an Entertainment Times Guide. Disneyland no longer puts the paper entertainment times guides at the turnstiles by the entrances, but you can still find one near the tunnel in Disneyland and to the right of the trolley stop just inside the entrance to Disney California Adventure. Even though you can find everything you need in the Disneyland Mobile App, the paper guide is a great quick reference that does not require Wi-Fi or phone battery. Plus, we usually find entertainment or character information we never would have thought to look up on the app in these guides. So grab a park map at the entrance and seek out a times guide. It has information for the week, running from Friday to Thursday. We hope you've enjoyed our tips to maximize your time at Disneyland. Do you already follow any of these tips? Have a tip we haven't listed? Share in comments below! We are taking our twin 6 year olds to Disney for the first time this May. We have 2 days in the park - the 21st and 22nd. We don't have park hopper passes. Given the ages of our kids, would you recommend doing two days at the original Disneyland or one at each park? Thank you!!!! That’s a tough call! You could easily spend both days at Disneyland because it offers the most rides and other entertainment. If your kids really love Cars and Frozen and some thrill rides, then taking a day at DCA will be enjoyable. Otherwise, you could spend two days at Disneyland, especially with the new Star Wars: Galaxy’s Edge to explore. (Personally, we don't think there's any right or wrong way to do this - it's all magical :) ) Have a frogtastic trip! My family is going to DL in early July. I am reading about crowding due to the new Star Wars section opening late May. Any guidance on UCT about guidance for this? I am concerned about park capacity. We will get there early.. but if we leave... are we guaranteed to get back in (if the park would hit capacity)? Things will definitely be busy, and unfortunately this is new territory for all of us! Be sure to take advantage of MaxPass and get to the parks early. If you do leave, there IS a chance that you may not get back in if they hit capacity. It's worth noting that Disney handles these closures in phases, so for some of the lower-level closures, you'd still be permitted; it's more or less the highest level of closure when your entry would be denied (which is certainly possible). 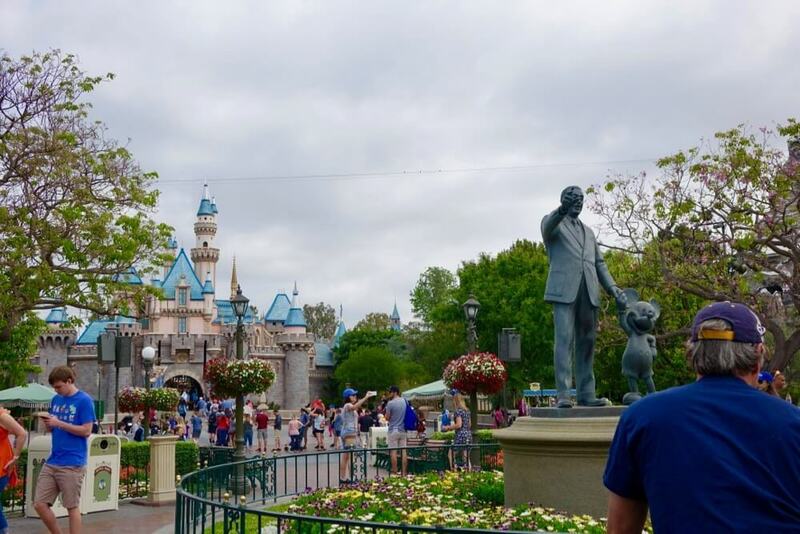 We're hoping that the reservation system Disneyland is using will mitigate the crowds a bit, but we still anticipate this being a very busy summer. I can't believe I am just finding your blog, better late than never I suppose, so thank you for all the incredible tips. 1. Is it worth it to pay for the dessert party to see the World of Color show? Perhaps there is a restaurant that might offer a similar experience (as the dessert party with a view)? -I would ask the same question for the Fantasmic show, I don't know much about that one and I haven't been able to piece together enough tips about Fantasmic. 2. Do you have a planner or blog post about visiting Disneyland and Universal on one trip and making the most of it? 3. If you do offer advice about Universal, are those VIP tickets worth it or will the express tickets suffice? 4. Do you offer the Max Pass and or photo pass on your site as well? This is my first trip to California, I am a single mom with an elementary school age child. I am looking at all your amazing deals on tickets, parks, and transportation and I am trying to make the best decisions to make the most out of our vacation. Sorry, I asked so many questions. I have been reading through the site for a couple of weeks now trying to learn from you. Thank you. Welcome! We're so glad you found us and took the time to say hello! 1. Whether or not the dessert party is worth it tends to come down to preference. It is certainly convenient to have a place to sit, and many park visitors love the party. You can either pay to have preferred seating with the dessert party, or as you noted, some of the restaurants offer a dining package that provides you with a designated viewing area for the show. The difference is that the dessert party overlaps with the World of Color showing, while the dining packages require that you eat earlier at the restaurant, but provide you with a designated viewing area. If you're planning on eating at one of the restaurants that offer the dining package anyway, it's certainly worth it (like a bonus FastPass)! 2. We sure do have planning tips for visiting both Disneyland and Universal! You can find those here. 3. The VIP experience includes benefits like valet parking, a paid meal and snacks, a private tour, and escorted express access to rides. We personally think that Express tickets are sufficient, but also think that the VIP experience would be a neat one to try :) Again, it just comes down to preference! Others in the Frog Pond may be able to weigh in with additional information. 4. MaxPass and PhotoPass (which will be included with your MaxPass purchase) are purchased directly through Disneyland using the Disneyland app upon entering the park. We hope this is hopful! Have a frogastic trip with your tadpole! It has been 10 years since we were last at Disney Springs (Downtown Disney) Marketplace. Sad to say that they did away with the Adventure Club and the Comedy Club. It is basically an upscale shopping mall and overpriced NBA center focused place now. Not a p place for the children of baby boomers who remembers the magic of Disney of the sixties and seventies. Thank you for all these tips and tricks! Is it known for the park to be “slower” on holiday weekends? No, it is not. You can see more on our Disneyland Crowd Calendar. Thank you for taking the time to write up this article. Although I have been to Disneyland several times when I was younger, I needed a little guidance on how to navigate most efficiently this time around and your tips really helped! Blue Bayou restaurant reservations were all booked up :( I'll have to book in advance next time! Going tomorrow for the first time in 4 years and so excited! Thanks again! This is my first trip to Disney anything. I want to go on my birthday which is January 7th and the day after. What all can I expect for these times to maximize my stay? So how was it??? ???? Hello, just booked a 5 day trip to Disneyland on March 28th through April 3rd. Any pointers besides what is on this post? How are crowd volumes during this time? Ah, you should have beautiful weather during that time of year! Check out our Crowd Calendar for how busy we expect the park to be. We definitely recommend MaxPass to make the most of your trip! How crazy am I to want to go the Monday before Thanksgiving with a 3 and 10 year old? Not staying on site, but driving up from Oceanside. Only have 1 day. Our Crowd Calendar predicts pretty heavy crowds. We recommend purchasing MaxPass to make the most of your time ... enjoy! Still totally worth the trip! Oh, man! That's a tough choice. What it breaks down to is what you'd be happiest doing. Are you a morning bird or a night owl? Which park do you want to spend more time in? Don't stress too much, and enjoy your trip! Thanks for the info for someone who hasn't been there for 30 yrs. Can I bring a small backpack into the park and take it on the attractions? Also, may I bring a plastic water bottle into the park and find places to fill it? Yes and yes! You're good to go. We will be in Disneyland Sept 12-17 with our 16, 17 and 21 year olds. Any suggestions for older teens? Many of the more thrilling rides such as Guardians of the Galaxy and Incredicoaster are in Disney California Adventure Park. These are sure to be a hit with your older teens! Be sure to dedicate a day at this park. We are visiting the week of Christmas with 2 adults and 2 kids ages 8,3. Is it easy to go back and forth to the hotels on sight to rest or should we stay at the parks and not leave. If you are staying on-site, the Disneyland Resort hotels are within a quick walk of the parks. Super easy to walk back for a mid-day nap! Buses can fill up at peak times. There are free busses from the Toy Story Lot and sometimes the lines get long, but a long line usually means a 15-minute wait! I need to get a mobile scooter for both days I'm at the parks. Will I get in the rides quicker and do I need a doctor note? We recommend visiting guest services upon arrival to see if any accommodations can be made for you. Your site is really helpful! Will be arriving on July (hello, peak season) and bracing ourselves with the lines with these tips in our heads! Thank you! Hi! I left a comment earlier but did not see it listed. I was wondering about Grad Night and how that impacts everything. We will be going for one full day into the evening on either the 29th or 30th. Any advice would be appreciated -- thank you so much!!! We just replied to your earlier comment :) Hope we helped! According to our Crowd Calendar, it looks like the 29th and 30th are about the same in terms of crowds, so pick the day that works best for you! Grad Nites grants attending grads special access to Disney California Adventure after hours. The event also gives grads daytime tickets (certain packages) to both parks. 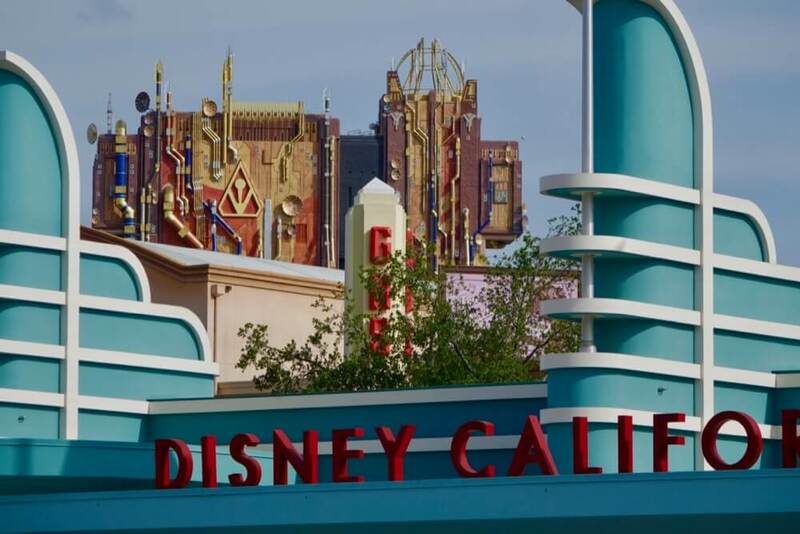 We suggest hitting Disney California Park at rope drop then heading over to Disneyland Park once crowds pick up at DCA. Have a great trip! Grad Nite closes Disney California Adventure Park from the public, but this is after hours from 9:00 p.m. to 2:00 a.m. The parks will be open to the public for their regular hours during the day. Your website is so helpful! I am taking my almost 13 year old son the first week in June. We will be there from Tuesday to Friday. Any recommendations? You can check out our Crowd Calendar for details, but it looks like there will still be heavy leftover holiday crowds during this time. We recommend taking advantage of MaxPass to make the most of your time. Hi! We are visiting Disney next Monday & Tuesday...do you suggest a park hopper if only doing a two day visit or would you do 1 day at Disneyland & 1 day at California Adventure. If park hopper is better, is there a two day park hopper plan to follow as a guide? It's really up to you, but we love park hopping. It gives us the leisure of dividing up our time however we want between the two parks. And hopping is super easy since both parks are so close to one another! Here's a Disneyland 2-day park hopper plan that you can even print out. Have a great trip! Thank you so much for this tips, we always spending our family travel in disneyland but we didn't enjoy so much our trip at disney land because of the time budgeting, but now you helped me how to manage our time this coming vacation at disneyland and you helping me have Idea how to enjoy our day at this place. We are so hoppy to help! Don't hesitate to reach out if you have any questions about your upcoming trip to Disneyland. Enjoy! Hi, this will be our first trip to disneyland with our 2 and 4 year old. The main reason we are going is because our son loves Disney cars. Our first day in the park will also be his birthday 5/28 so we are hoping to have a plan so he can ride the rides at Cars land. Any extra advice? Our first day will also be memorial day so I know it will be crowded. Thanks! Check your 4yo's height too. The first time I took my grandson at 3yo he was too short to ride cars....very disappointing for him. Have fun! Hop over to our Disneyland and Disney California Adventure Park Plans to get tips on how to navigate the parks and when to experience attractions! By looking at these plans, you can get an idea of what rides to prioritize and when to visit them so you can maximize your time in the parks. Hi! Thanks for all the great tips! It is overwhelming to navigate everything, so your posts help greatly! I am traveling single mom style with my two boys 12 & almost-7 the 3rd week of April. We have a week vacation and think we will enjoy 4 days at the parks. We are staying at the Courtyard by Marriott Anaheim theme park entrance, so hope this will help with ease of access, and taking breaks midday as needed. It seems like we'll get the most out of our time if we plan ahead for shows, get the FASTPASS & MAXPASS, go early in morning, and plan for our desired rides first thing in morning and any shows at end of day. Do you have any advice on how to best enjoy the park with only one parent and with two kids of such different ages? Many thanks! Great idea to enjoy 4 days at the parks! 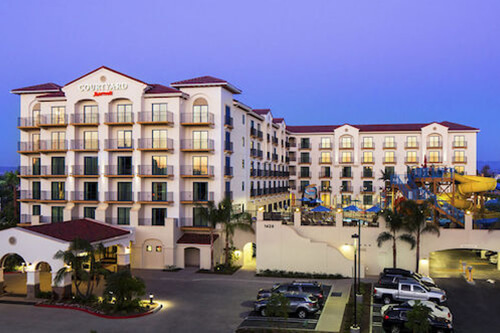 You'll definitely enjoy the convenient location from your hotel to the parks. Don't be afraid to take pool and nap breaks! You might also find our Disneyland park plans helpful in prioritizing your days in the parks. Since your tadpoles (kids) are such different ages, you might find this post on Disneyland height requirements and Rider Switch to be useful. While having a plan is great and recommended, we find it makes things easiest when you're flexible with changes to the plan. Most of all, just enjoy yourself! You're going to the Happiest Place in the World after all! Thanks for all your tips!! We leave tomorrow for 8 days - yay!! We have 5-day park hoppers, and we are planning to get MaxPass for 4 of those days. My question is - can we get ONLY PhotoPass for 1 day? Do all members of our party need to purchase PhotoPass, or just 1 member? For each day that you have MaxPass, you will also have PhotoPass! And all members of your party can link to one PhotoPass and see the images on their devices for download as well. I'm just wondering about the one day where we do not want to purchase MaxPass. (One day we are entering the park with no intention of rides...so don't need the fast pass feature. This day, we're doing character breakfast and Bibbidi Bobbidi Boutique!!) On that day, would it work for only ONE of us to purchase MaxPass? (Cuz the only thing we want is the benefit of photo pass that day). And then whenever we get photos taken, we just scan the one person's code?? Just trying to figure out if there is a way to get the benefits of photo pass without every person in our party purchasing MP for one day?? Park hopping is my definite time saver. Especially if you find you finish up earlier than expected at one park - just hop your way down to the other! We are going to Disneyland for two days on march 20. 3adults and 3children, do the children need to buy maxpasses too even if the adults will be the ones managing the rides. Infact two adults out of three probably won’t do any rides either. What do you suggest? Thank you for your help. Anyone who will be enjoying the rides and attractions needs to have a MaxPass, regardless of who will be managing it. MaxPass not only saved us time, but saved us a lot of extra walking. Hello! I'm going to do Disney in one day with Park Hopper and purchase the Max Pass, but I have a doubt, I'm going to be able to have the fast pass for World if Color AND Fantasmic on the same day? Or I have to choose one show? Sorry for my english, I'm argentinian, love your posts! It an be challenging to get both in! It all depends on show times and crowd levels that day. The FASTPASSes for Fantasmic! run out the fastest, so get those first thing in the morning. If you do no get one, arrive early for a standby location. Arrive early even if you have a FASTPASS since they do pack people in for the show. The World of Color FASTPASSes take longer to distribute, and if there is a second show that night, it is definitely the least crowded. You also don’t necessarily need to be right in front for World of Color; the first row can get wet from the spray, and the water sprays really high. 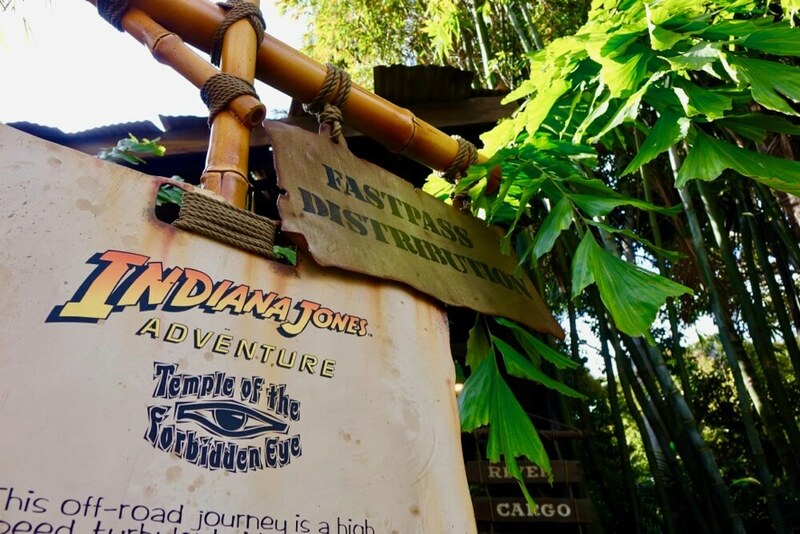 Do you know if you can select a FastPass (while at the Park)... leave the park mid-day to take a break... and then utilize the FastPass upon your return? Yes, you can most certainly reserve a FastPass for later in the day and then come back to enjoy it. We are planning a trip for Mid Sept 2018. We will just be there one day. What park do you suggest? This will be mine and my 8 year olds first trip. So we have no idea where to begin! Oh, my! If possible, we would recommend purchasing a Park Hopper ticket to experience the magic of both Disneyland and Disney's California Adventure in one day. 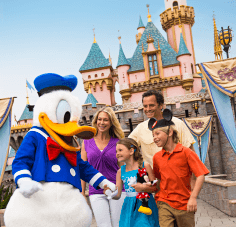 However, if you have to choose JUST ONE, we'd go with Disneyland Park for your very first trip to experience all of the classic fun and attractions. How much is parking on the property? Parking is $20 per standard vehicle. We are planning a trip during Presidents' Day weekend. Which day will be busiest- Sunday or Monday? Our Crowd Calendar predicts that it will be equally busy on both of those days. 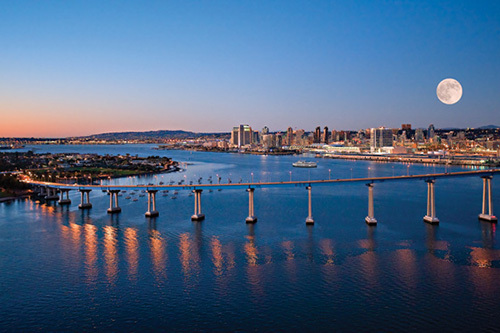 If we had to guess, we would lean towards Monday to visit. Me and my family are going to Disneyland for Spring Break. The youngest child is 12 years old. If you could give me any ride suggestions that would be great! Thank You! Oh my goodness! That sounds like it will be a super fun trip. Truly, every experience and attraction at Disneyland is wonderful for families of all ages. But it sounds like your group may enjoy the more exciting rides such as Splash Mountain, Space Mountain and Matterhorn Bobsleds. 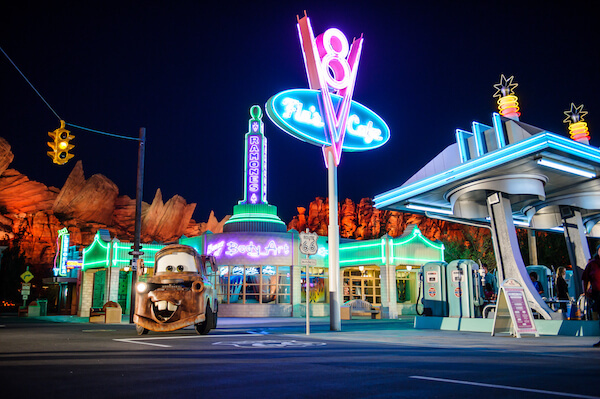 Be sure to visit Cars Land as well! Taking my 5 year old son for the first time. I havnt been in 20 years! I was planning on getting there about 1:00 so we can stay into the night a bit before he melts. Any comments or suggestions for parking or shortest wait times on the kiddie rides? Thanks! I am surprising my husband with a 2 day anniversary trip at the beginning of May. Already have tickets, lodging, and dinner with Goofy reserved. Neither of us have been there in over a decade. What should we know, what should we plan, and what should we pack? I am thinking one day at each park as I did not go for park hoppers. 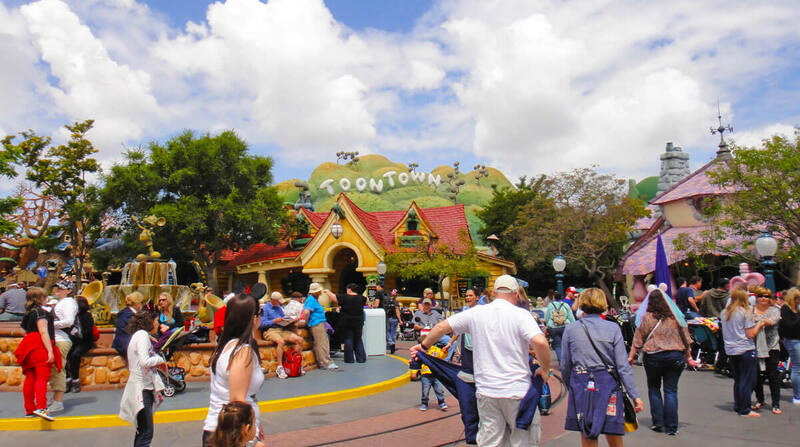 Hop over to our Disneyland park plans to get an idea of what to see and do! One day at each park is definitely a good idea, especially since you didn't purchase Park Hoppers. 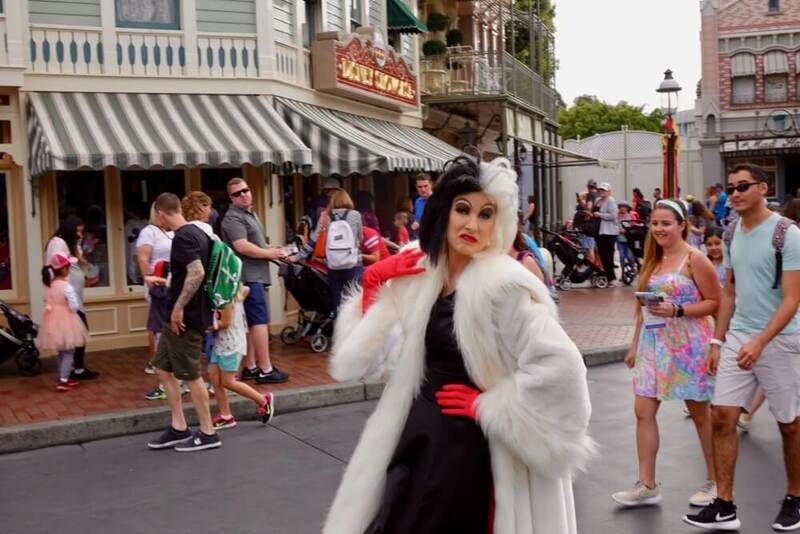 While you're visiting in the beginning of May and not the dead middle of summer, our post on our top tips for Disneyland in summer might help you out some. Have a great trip! When we took our twins when they were little, we showed up at opening and then headed back to the hotel around 1 for lunch and "quiet time". Went back around 3 or 4 and were able to finish the night with the parade. Hope this helps!! Me and my family of 4 are going to the Disney Parks at Easter and the tickets we have purchased include Fast Pass+. is this new and different to the Fast Pass you cover in your tips above? I'm really concerned about queues ove rthe Easter holidays so want to make sure we get the best from the Fast Pass facility. Are you visiting Disney World in Florida, or Disneyland in California? This post covers Fastpass in Disneyland. If you're headed to Disney World (in Florida) you can check out our tips for the FastPass+ system here. There are plenty of shows and attractions to be seen that aren't rides! 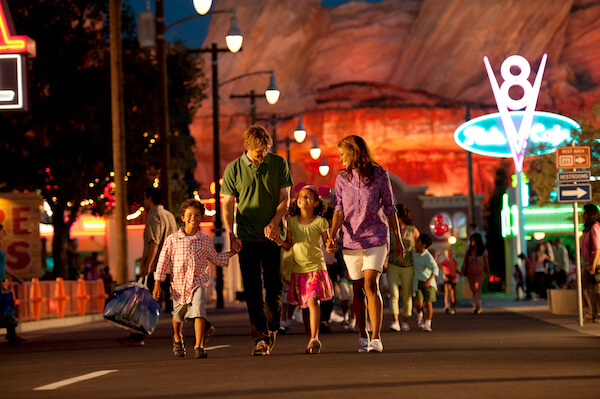 For attractions you won't be able to experience, your family can always consider using Rider Switch. This will allow everyone to have a ride buddy and not be left out. Be sure to also check out our Disneyland park plans to maximize your time. Have a great time! First, I want to say that your website is fantastic and extremely helpful! I wanted to see you all knew which rides at Disneyland are historically the longest waits, and which ones we do not have to rush to at the beginning of the day. The wife and I are going to Disneyland for the first time on March 6th, 2018 and I'm trying to figure out how to maximize the day as much as possible! Popular rides like Space Mountain, Splash Mountain Matterhorn Bobsled usually have longer wait times. Check out our Disneyland park plans for recommendations on how to maximize the day! What does this statement mean on Disney's website: "Be aware that pre-purchased theme park tickets do not guarantee entry on any given day. Please consider arriving early to begin your magical experience!" Do they limit the number of park visitors each day and how can you plan a vacation there if they do? Thank you! The parks do have a capacity limit and when they reach them, they cannot let any more guests in, unfortunately. When visiting during peak times (such as the holidays), it's wise to get there early so you can get inside before they reach capacity! Hey we are going to Disney land at the end of January. We are from Canada and wanted to do 2 says but the Canada pass might make it the same price to do 3 days. (We might only use 2). I had a couple questions. We are bringing our daughter who will be 3 and a half when we are there. Any tips on what rides are best for a girl that age and which park is better or if a park hopping pass would be worth it for her if she gets bored at one. Thanks for the help. I’m sure you have a section on ages and what not but I haven’t got that far. Thanks again. Hop over to this post for some ideas on what rides would be best for her. It's geared towards babies, but the rides listed are great for toddler age, as well. This post also contains height requirements for Disneyland attractions, which can be helpful for you, as well. If you're going to be at the parks for 3 days, you might consider a Park Hopper. It's very easy to hop between the two parks, so if she ends up having a favorite ride or show, it'd be simple to go to that particular park. Thank you for all the tips. We are struggling with locking down our dates to go in 2018 and am hoping for advise. We are looking at the Middle of March, the week after Easter or the Middle of April. I'm worried about the crowds and having to stand in lines as it's busier times, I'm disabled. However, we are a family of 6 and going in the slower time is quit an increase in price. We are torn with deciding if the price is worth less wait time. Also with not having info for 2018 yet it's hard to see if rides will be closed. Thanks for suggestions. The middle of April would be your best bet as far as crowds go. The middle of March is usually spring break, which brings in more crowds, and so does Easter. Check out predicted crowds on our crowd calendar. Do we take the FASTPASS for colours of the world or radiator springs racers first? There is a rule where you can only take the fastpass once in every 2 hours. Hi. I love all your tips for maximizing time at DL! I am taking my 7 year old son by myself at the end of Jan 2018, thanks to your calendar, but many of the tips rely on a group (One person getting fastpasses, etc). Obviously, I can't leave my son to hold a spot or use the single rider options. Do you have any advice for optimizing our visit for a single Mom? We recommend figuring out ahead of time what rides and entertainment you and your son want to experience. Prioritize the attractions so you can have a plan on what you are going to do and what Fastpasses you'll need while you're in the park. 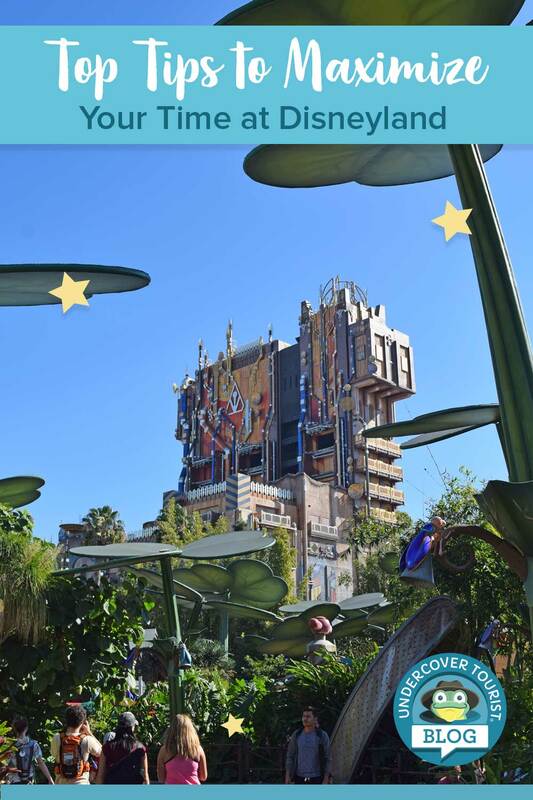 We have Disneyland park plans that can help you with having a tentative schedule! Hope this helps. We are a married couple who are total Disney fanatics, and we finally got to visit Disneyland for the first time! And we made a video about it :D We love this website and all you do! Ariel's Grotto, Plaza Inn are both great. Consider Goofy's Kitchen at the Disneyland Hotel or the breakfast buffet with characters at Disney's Grand Californian. We have a full post on MaxPass that can help you decide if it's good for your family. Read it here. Thank you for all the specific and useful information. Your one day plan is especially helpful. We are three adults going to Disneyland Park for one day on a Friday in August. We are most interested in the thrill rides and the Haunted Mansion. Do you have a strategy for maximising time if these are out primary focus? Thank you. Take a peek at our Park Plan and make adjustments, eliminating anything you don't want to see in order to "Prioritize" your top attractions. Also, consider Disney MaxPass to get FASTPASS times quicker. My teenage daughter is planning to go to Disneyland on the day before Veterans Day weekend in November with her class for one of the leadership classes that they do at the park. She hasn't been to Disneyland in about 4 years. They most likely won't arrive until after the park opens. What should I pack for her and what rides would she want to go on? 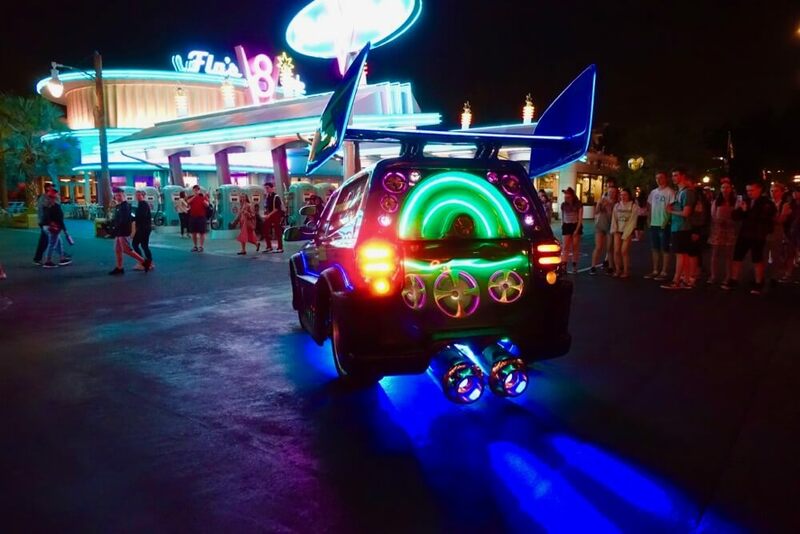 Check out our post for Disneyland rides teens might enjoy. As far as what to pack, make sure she has comfortable shoes since she'll be doing a lot of walk. During that time of year, the temps are usually in the 70s during the day and 50s at night, so maybe a light sweater, as well. Hey, I am super glad to have read this post before heading to Disney this year with my kids. I could'nt have enjoyed the time in Disney without having a locker and fast pass. We did just one park per day to save money. I have one tween and a teen and could do all the FP rides without any hastle. We had about 2 hours free in the disney adventure park. This season being super crowded, it was quite exhausting but we did enjoy it thoroughly. Thanks a lot for all the tips. I really appreciate it. We are getting married in Feb 2018, and am considering going to Disney land for our honeymoon. Will Feb still be an enjoyable experience as i know its a cooler period? Congrats! While it's cooler and some attractions are down for refurbishment, you won't find huge crowds in February. Take a look at our Crowd Calendar to see what the days look like for you!